More than 3,000 years ago, Celtic tribes in central Europe migrated to Wales. 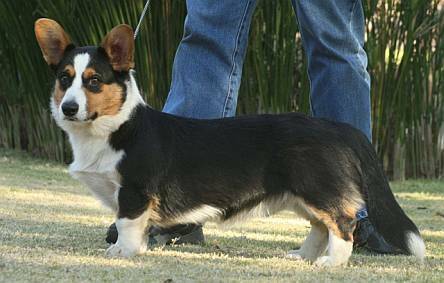 With them came their dogs, ancestors of the CARDIGAN WELSH CORGI, including the Teckel family from which the Dachshund is also derived. "Welsh" means, "From Wales" (part of UK). There is a town called Cardigan and a county called Cardiganshire, which is where the dogs originated. 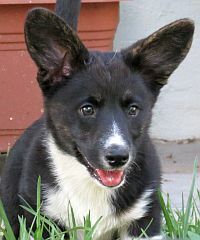 The Welsh word "cor" means dwarf, and "gi" means dog. 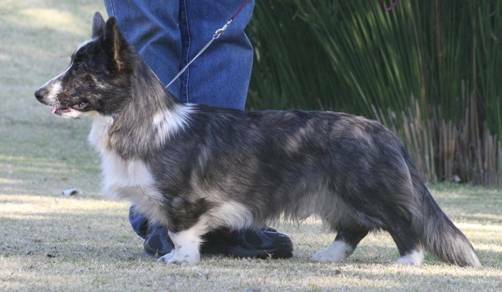 So "corgi" means dwarf (or short) dog. They are short-legged. 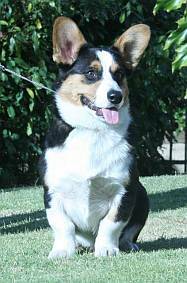 Corgis enjoy doing things with their family and are easily trained. 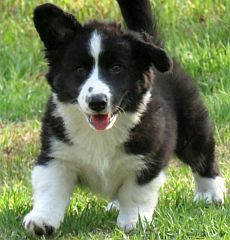 2 Cardigan Welsh Corgi puppies, 12 weeks. 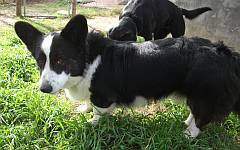 Photos courtesy of Beitshemesh kennels, South Africa. Colour: Tan pointed black & white. 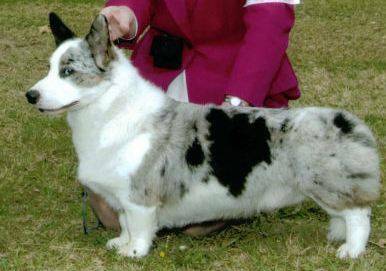 Colour: Brindle pointed blue merle & white.